Week 1 – Students will review the material via the VLE (Virtual Learning Environment) in preparation for the lectures. Week 2 – The module leader will deliver 30 hours of lectures over five days. Students are expected to attend all of the lectures, workshops and seminars during this week. Week 3 – Students will work independently to complete all methods of assessment. The lecturer(s) will maintain constant contact with all students, either virtually or institutionally, to help supervise the task(s). The Programme Coordinator will always be on campus for additional support. For all fieldwork-based modules, week 2 will consist of fieldwork training and research. All material is designed for Masters level and will involve fieldwork, seminars, webinars and lectures. There is considerable scope for you to direct your own learning for the dissertation module, including opportunities to conduct your research in Hawaii, Greece, UK, Channel Islands, Canary Islands and Madagascar, as well as others. Taught modules will be assessed through a number of methods, including oral presentations, reports, literature reviews, essays and in-class tests. Some modules may also include formal exams. A significant proportion of the overall assessment is based on the research project and associated literature review and viva. 'The situation on many islands is becoming critical as the area of undisturbed natural habitat diminishes. The result is a relatively large number of endangered (and extinct) species in countries where the scientific and financial resources available to deal with the problem are very limited. There are probably more endangered species per capita in Small Island Developing States and territories than anywhere else in the world. While a number of countries have made great efforts in setting aside protected areas, the needs far exceed the means. In addition, islands with limited land seldom can afford to create single purpose parks and reserves solely for nature conservation. Solutions need to be more flexible and adapted to island circumstances. Conservation areas which are created and managed by the traditional land owners represent the kind of creative approach to conservation needed in islands'. Fieldwork Statistics and Experimental Design is a core module in any MSc; it has a transversal character and is the main basis for a rigorous approach to biotic (faunistic and floristic) and abiotic (geographic, climatic, lithology, soils, etc.) data collection and statistical (univariate and multivariate) description and analysis. 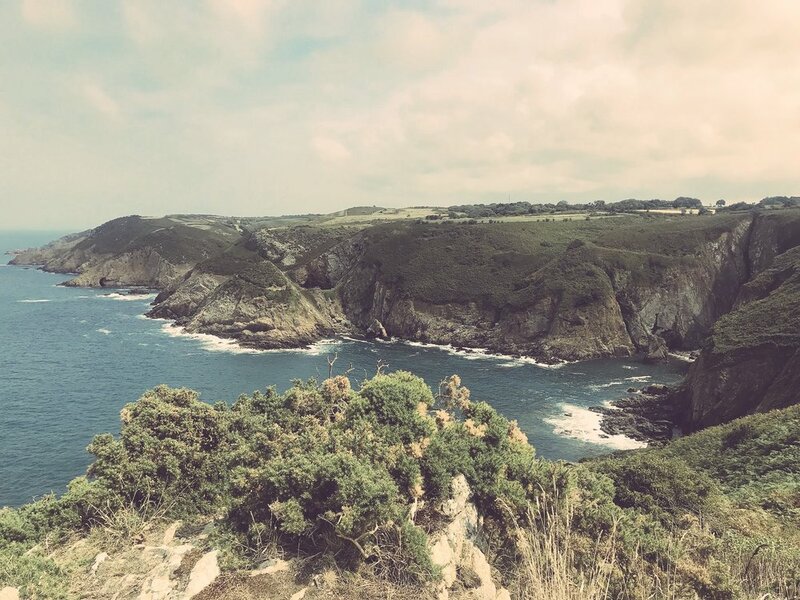 For this reason, the module sits at the very beginning of the MSc and is delivered as part of a fieldwork approach in a small, nearby islet of the Channel islands (Sark, Herm and/or Alderney), where you can obtain your own data and are subjected to different analytical procedures. The module focuses on the different island origin and types, including the role of past events such as continental drift, Pleistocene glaciations and volcanism in shaping island geography and biotas. Furthermore, this module explores in depth the geographical, biological and ecological determinants of arrival and establishment occurring in both animal and plant colonisation processes, as well as the knowledge of the main island biogeography theoretical models, and composition of past and present island biodiversity and the lessons we can use for reserves delimitation. This module is divided into two sections: The first part of the module focuses on the exclusive ecological processes occurring on islands, including the species impoverishment, disharmony and relictualism that created a scenario of attenuated interspecific competition yielding to issues such as species relaxation, ecological release or density compensation. The second part of the module examines more deeply both palaeoecology methods and results of the reconstruction of the ecological scenarios that existed in different oceanic islands in the near and remote past, and the conditions that have been created current biodiversity composition and distribution. This module is divided into two sections: Part one introduces the most spectacular cases of island radiation in both the plant and animal realms that make island biodiversity unique. Part two focuses on the evolutionary context existing in oceanic islands that have created such incredible biodiversity. Moreover, you are introduced to the fundamentals of natural selection and genetic drift, as well as to the geographic and genetic ways of understanding speciation yielding to anagenetic or cladogenetic processes. Finally, the island syndrome or island rule is analysed and the most prominent transformations, such as size shift, island woodiness, loss of dispersability, etc. is exemplified and their origins discussed. This module is divided into two sections: Part one introduces the problems caused on island communities and ecosystems by alien species, deepening in the biotic and abiotic consequences of their introduction, especially on species that have evolved in the absence of predators, diseases, or humans or a human modified environment. Part two deals with the ongoing extinction on islands and the natural causes of species extinction in the past (volcanic activity, sea level shift, etc. ), especially the cultural (human-related) causes such as habitat destruction, transformation and fragmentation, overhunting and overfishing or species collecting. Finally, the module introduces the cases of some charismatic islands species lost. This module is divided into two sections: Part one explores Conservation Biology strategies and policies, with special emphasis in the role of the more important NGOs (IUCN, WWF, CI, NC, Birdlife, etc) and public administrations (UK, EU, UNEP, etc.). Furthermore, the fundamentals and history behind relevant Conservation Biology concepts, such as red lists, protected area networks, threatened categories, species catalogues, etc. are analysed. Part two introduces key UK and EU legislation on Conservation, highlighting their similarities and differences, as well as the international agreements dealing with Conservation Biology, such as Convention on Biological Diversity, Bern Agreement or CITES. The module will start with an introduction of fundamentals of climatology and climate change and then apply this general knowledge to the specific situation of island climates at different latitudes and in different climatic regions. Based on an understanding of island climates and how they might be affected by climate change, we will review the impacts of climate change on terrestrial island biodiversity. We will discuss both direct effects (e.g. changing precipitation patterns) and indirect effects (e.g. displacement of human settlements into biodiversity areas due to sea level rise) on island biodiversity. A special focus will be on understanding the different types of evidences that are used to predict climate change and its effects on biodiversity (statistical modelling, simulation models, meta-analysis of observational data, experimental approaches). This module consists of a ten-day fieldwork research study trip to Tenerife (Canary Islands) where several protected areas and conservation-related institutions are housed. You are required to review the material relating to environmental and Conservation Biology issues (papers, books, reports, webpages, etc.) before the trip in order to obtain a deeper understanding of the environmental problems related with mass tourism and agriculture in Tenerife. The module is delivered in part with La Laguna University, where students and staff from both institutions simultaneously undertake a programme of study that includes several excursions.